← Get Your Official Porg Plush... Now Available... And Electronic! 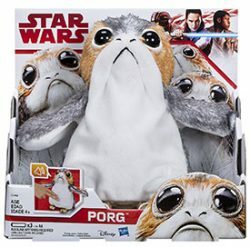 Get Your Official Porg Plush... Now Available... And Electronic! If you want a porg, now you can get an electronic plush one. You know you want it! Some of the TBS6 figures have started popping up for pre-order on Amazon. Start securing them while you can! Keep an eye on these links as they go live! So far Grand Admiral Thrawn and the Elite Praetorian Guard are listed. ← TBS6 [P3] SDCC Exclusives Added Back To Hasbro Toy Shop! We have very rough review pages for a couple of new Force Friday II figures from The Black Series [Phase III] and Star Wars [The Last Jedi] lines. Check them out! And have fun tonight! Whatever you do to celebrate Force Friday II, be sure to stay close to JTA as we post the latest news on when things go up for order! 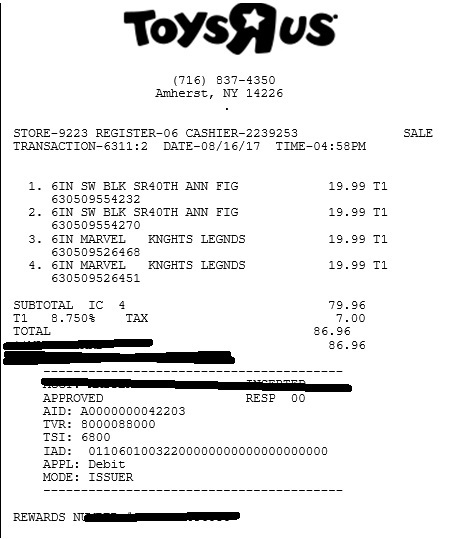 TBS6 [P3] SDCC Exclusives Added Back To Hasbro Toy Shop! Check it out folks! 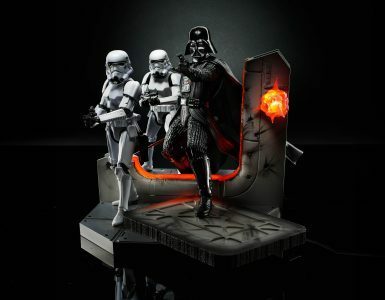 The Black Series [Phase III] 6″ San Diego Comic Con exclusives have all been added back to Hasbro Toy Shop. They’re not in stock yet, but keep checking back! Will they go up for order tonight too? JTA reader Andy sends in his report from New Zealand on his FFII experience. Click through to see how his experience went. Thanks for the report Andy! We received a look at two Droid Factory Sets from The Last Jedi. Click below for a closer look at the R4-X2/Y5-X2 two-pack and the BB-series 4-pack! Tonight we bring you the conclusion of the JTA interview with The Star Wars Rings author Tomas Pueyo Brochard. This part is a bit longer, but it also holds the bulk of the information. It is a fascinating and eye-opening discussion and I had a blast talking with him. Click through to conclude the journey. Here’s the complete breakdown for the Fall 2017 Hasbro Retailer exclusives. Full press release right here and full gallery right here! Click here for Hasbro’s The Black Series Fall 2017 official press release. You can also get the full image gallery after the jump! Check out the official press release from Hasbro for the Fall 2017 The Last Jedi line. Get the full image gallery right here. Let’s look at the final Episode I basic figure: Obi-Wan Kenobi (Naboo) in our Research Droids Reviews today! Be sure to leave your own thoughts in our comments section, vote in the poll or even leave comments about it on our Facebook page. Click the banner below for the direct link to the review! As always, you can also send your own personal review requests via email if you’d like to see something that we didn’t cover yet. Hasbro releases official press release and photos of the upcoming Galactic Heroes BB-8 Adventure Base. Click through for details. Here are the latest exclusives revealed from Force Friday II! We will continue to add to this list as new deals, products, exclusives, etc are announced (Please note that this is not an all-inclusive list for product, just quick links for some of the more popular items)! Hot Toys also revealed today a first look at their The Last Jedi Cosbaby Bobble-heads. Get the full gallery after the jump! ← Hot Toys First Order Stormtrooper Executioner 1:6 Scale Revealed! 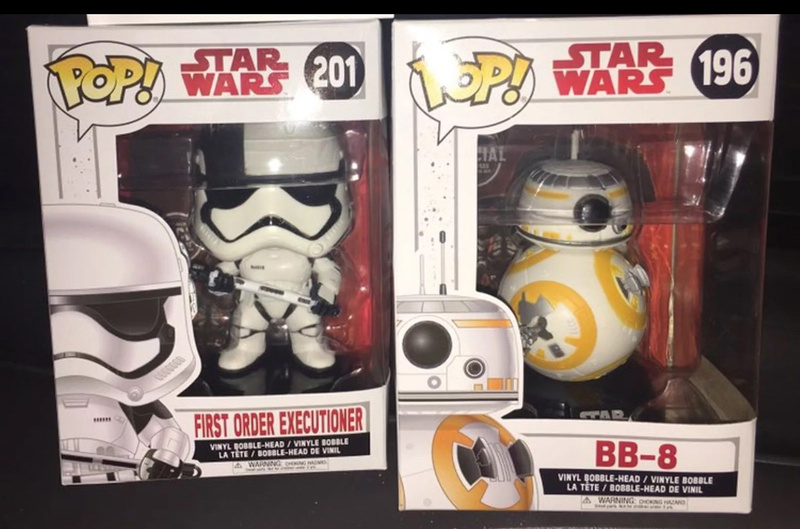 Hot Toys revealed Series 3 of their The Force Awakens Cosbaby Bobble-head collection. Click here for the full gallery. Hot Toys First Order Stormtrooper Executioner 1:6 Scale Revealed! Hot Toys reveals their cool First Order Stormtrooper Executioner figure. Check it out on their Facebook page! ← BREAKING NEWS! Yahoo! News Reveals New Force Friday II Products! SH Figuarts reveals on their Facebook page new The Last Jedi figures. Check them out! ← BREAKING NEWS! Hollywood Reporter Reveals New 3.75" SA Products! io9 reveals a TON of our past rumors officially. Remember THIS rumor report for Obi-Wan? And THIS one for the Royal Guard 4-pack? And remember THIS ONE for Snoke? Pretty cool, huh? 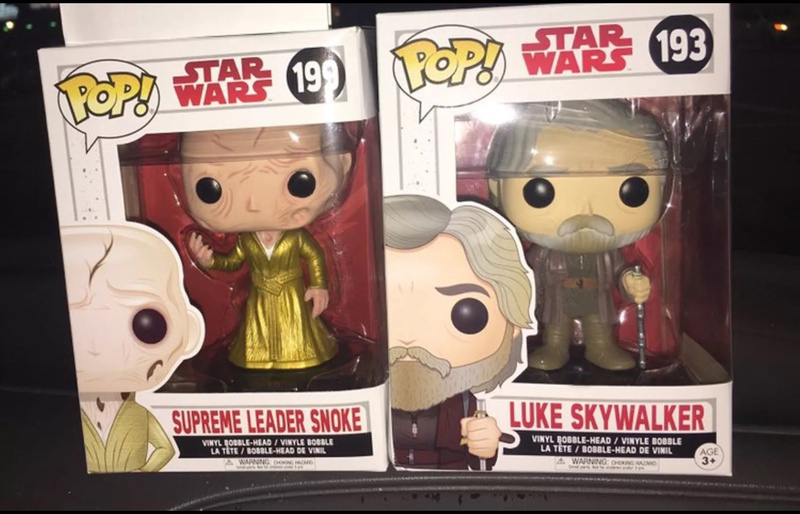 Snoke with Throne will be a GameStop exclusive. The Guard 4-pack will be exclusive to Barnes & Noble, Gamestop, and Disney Stores. And the Praetorian Guard variant will be exclusive to Amazon. All will be available later this Fall. Check it out! ← LEGO Officially Reveals UCS Millennium Falcon! Marcia Lucas, who won an Oscar for editing the first Star Wars, has rarely talked about her experience working on the film or her relationship with her ex-husband George Lucas. Many have pointed out her importance during the early days of the saga and that her contributions remain underappreciated. 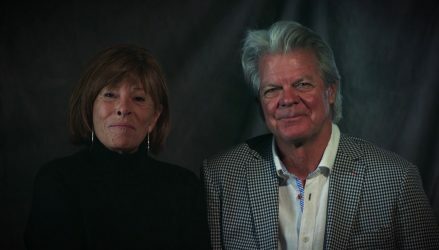 Athena Studios interviewed Marcia, along with Emmy-winning editor Duwayne Dunham, at the 40th Anniversary ILM reunion in May. In the interview she talks about Star Wars, George, Raiders of the Lost Ark, and more. Click through to watch the full interview! LEGO Officially Reveals UCS Millennium Falcon! LEGO has officially release images of their UCS (Ultimate Collectors Series) Millennium Falcon. It’s coming October 2017. Also, if you sign up for LEGO VIP Program (which is free), you’ll be able to order this beauty starting early on September 14th! You can sign up here. Gizmodo posts an article/review on the Sphero R2-D2 releasing at midnight tonight. Check it out! ← Toys R Us Australia Facebook Live Streaming Force Friday II! Toys R Us Australia Facebook Live Streaming Force Friday II! Toys R Us Australia’s Facebook page is live streaming Force Friday II products! Check it out! Are you still obsessed with scrambling for the latest Force Friday II news and reveals? Are you bored with seeing all of our rumors come true? Yawn! So are we! To break up the monotony we have something more exciting to share. Because it’s the day before the Force Friday II madness begins, we thought we’d finish off the last day of the ‘year’ with a new The Black Series 6″ rumor. Are you in? Then click through for more! ← Toys R Us Exclusive TBS6 Admiral Ackbar/First Order Officer! The Entertainment Earth exclusive Imperial Forces 4-pack is on sale for a nice $36.99 on Amazon if you’re interested. Special thank to JTA reader Marcel E. for the alert! ← Walgreens Exclusive Clone Commander Cody Funko Pop! IN STOCK! Toys R Us Exclusive TBS6 Admiral Ackbar/First Order Officer! Toys R Us reveals a The Black Series [Phase III] 6″ Admiral Ackbar/First Order Officer two-pack! Check it out! Walgreens Exclusive Clone Commander Cody Funko Pop! IN STOCK! Hurry! The Walgreens exclusive Clone Commander Cody Funko Pop! is IN STOCK! ← Good GameStop Clearance - Check It Out! Recently, I got a chance to have a discussion with first time author, Tomas Pueyo Brochard, who is promoting his new book The Star Wars Rings. We have planned a multifaceted project with Tomas that includes an interview, several guest posts, and a book review all leading up to the launch of his book on September 19th. Today we bring you part 1 of a two part interview with Tomas on the topic of his book. Click through to find out more! Wow. Always go with first instinct right? We should have known our sources wouldn’t have failed us! 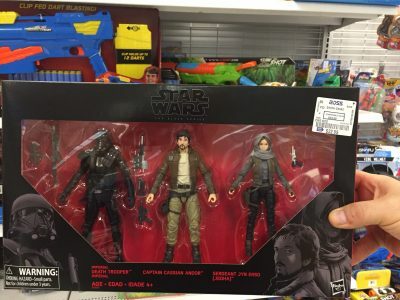 It looks like our ORIGINAL RUMOR REPORT back in January about that TBS6 four-pack of guards was actually much more accurate than a newer rumor (of all Episode 8 guards) that has been circulating recently. Pretty cool! Stay tuned for more. Let’s look at three final Episode I figures until we hit Force Friday II! (Remember when product launches used to be fun?) Next up is Darth Maul (Sith Lord). He is the focus of our Research Droids Reviews today! Be sure to leave your own thoughts in our comments section, vote in the poll or even leave comments about it on our Facebook page. Click the banner below for the direct link to the review! As always, you can also send your own personal review requests via email if you’d like to see something that we didn’t cover yet. When will Disney concede defeat with The Last Jedi product launch? When will they accept that the way they’re doing things doesn’t work? They’re truly stealing the joy away from new toys. Licensees have clearly been prompted to take action. Check out this YouTube video which the author claims LEGO is going after him now. We are unable to verify the validity of his claim, but it seems like quite a performance if there isn’t some smoke and fire here. Either way, we are TWO DAYS away. What’s the point of all of this nonsense? ← Where Does Kmart Get Those Wonderful Toys? HotTopic.com has a sale on many of their Star Wars items, including Limited Edition Funko Hikari Clone Trooper (only 1500), Limited Edition Metallic Hikari Bossk (limited to 750), and Limited Edition Hikari Bossk (Limited to 1000). You can also find Pop! exclusives like Ahsoka and Poe Dameron and TONS of apparel and posters on sale as well. More to file under: You can’t make this stuff up. Despite efforts by Hasbro/Disney to pull The Last Jedi commercials from YouTube (as well as the many other places on the web they ended up), JTA reader Jason M. watched one of the same exact commercials in the comfort of his own home on the Cartoon Network. We’re NOT kidding. (The videos are still off of YouTube as of this post.) I wonder if the PR firms involved are still scrambling to try and get all of the replicated commercials pulled while they’re airing live on television as we speak. Pure insanity! ← Look At All Of This New Stuff On eBay! Right now you can grab The Force Awakens 3D Blu-Ray Combo pack for only $22.99! That is a pretty great price for this set which comes with all the deleted scenes (thus far). Thanks to JTA reader Jeff for the heads up! Look At All Of This New Stuff On eBay! Um, look at all the new stuff that has hit eBay! Holy cow! Hurry! D23 Limited Edition Premium Elite Figures In Stock At Disneystore.com! The last 2 D23 Limited Edition Premium Elite 2-packs have been put up on Disneystore.com! Hoth Leia and Darth Vader and Resistance Base Rey and Maskless Kylo Ren. These are limited to 1000 and come with a certificate of authenticity. Also, use SHIP50 for free shipping! The Propel presentation will be starting very soon. As we wait for the news to come in, Paul gets to mingle with other journalists such as the Associated Press. What an honor to be invited to such a presentation! Stay tuned for updates as they roll in. UPDATE: Unfortunately, there will NOT be any updates on this today. All information is under embargo until Thursday. Check back Thursday for all the great things from the presentation! Let’s look at three final Episode I figures before we hit Force Friday II! (Remember when product launches used to be fun?) First up is Qui-Gon Jinn (Jedi Master). He is the focus of our Research Droids Reviews today! Be sure to leave your own thoughts in our comments section, vote in the poll or even leave comments about it on our Facebook page. Click the banner below for the direct link to the review! As always, you can also send your own personal review requests via email if you’d like to see something that we didn’t cover yet. JTA is on location in Brooklyn NY. We are specially invited guests of Propel, a Lucasfilm licensee who manufactures stunning Star Wars Drones and are anxiously awaiting tomorrow morning for a special presentation on these awesome collectibles. Tune in tomorrow for some exclusive coverage, but in the meantime be sure to check out their line of products on their website. If you ordered the second theatrical teaser from Disney Movie Rewards and haven’t received it yet, then be on the lookout. These are arriving now. I received mine today, and in great condition (DMR doesn’t have the best reputation with shipping posters). The latest teaser poster (Luke/Kylo) is no longer listed on DMR, but you can still get the first teaser. They look great hanging side-by-side in my den! I’m looking forward to the final poster to add to the collection! The Debbie Downers out there give these a hard time, but they look quite striking hanging together. 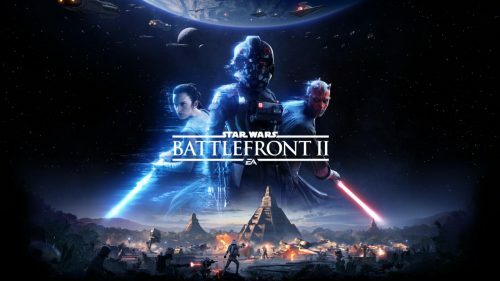 Earlier this month, StarWars.com announced an upcoming mobile strategy game from Lucasfilm and EA . It’s still extremely early and very few details have been made available. 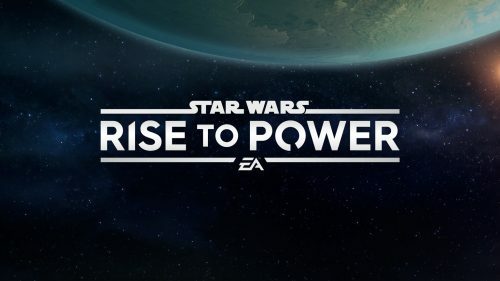 Personally, I really enjoyed the MMORPG Star Wars: Uprising and the accompanying canon story line that followed ROTJ, but this will be a much different game. I have just received my pre-Alpha invitation so I will be providing more details about it soon enough so stay tuned! Mark Hamill has decided to use his celebrity to make a political statement. Sad! Real Clear Life has the story. We pay to watch you act, not to glean your political perspectives. This goes for both ends (as well as all the shades of gray within) the political spectrum. Although his comments surely imply a sarcastic nature, it’s never good to mix the two in my opinion. As we all know, wipe transitions are almost as synonymous with Star Wars as Luke Skywalker or Darth Vader, but when The Force Awakens was released it may have been a little light on the famous transitions (not that it would’ve changed the quality of the film..yes, I kept that ambiguous lol). However, we now have found out that The Last Jedi may be following suit. More on this after the jump! If you’re a fan of Pop!’s, then you probably will want to get your hands on this TIE Fighter with TIE Pilot. Just like the Target Exclusive Darth Vader with TIE, this TIE Fighter sits on the dome of the Death Star. It’s also on sale for $23.19 at Things From Another World! 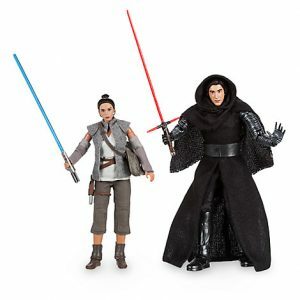 Entertainment Earth once again pushes out their anticipated arrival date of The Black Series [Star Wars 40] wave 2 figures. But this time you’ll have to wait SIX more months until February 2018. Wow, will anyone accept these are just sold out by now? Good news still exists however. With the proof that foreign orders (Europe/UK) will be fulfilled because of extra production, it’s probable Hasbro will do the same for its American collector base which is probably why these orders have been pushed out once again. But that’s just a guess. Whatever the case, we hope you’re all able to secure this great wave of figures at some point. You honestly cannot make this stuff up anymore folks. AllPosters.com is offering 40% off throughout their entire site. This is a fantastic place to find Star Wars movie posters, prints, apparel, Pop!’s , cardboard cutouts, and everything else you could imagine. Hurry though, this 40% off ends tomorrow. The fourth and final season of Star Wars Rebels will be here before you know it. In meantime, the Blu-ray release of Star Wars Rebels season three has arrived. It’s the perfect opportunity to revisit some of the series’ best episodes. Click through for our full review! Wow, the Sabine Wren Forces Of Destiny figures is so good it makes us wish Hasbro was still making highly-articulated one-sixth scale figures again. Learn more in our Research Droids Reviews today! Be sure to leave your own thoughts in our comments section, vote in the poll or even leave comments about it on our Facebook page. Click the banner below for the direct link to the review! As always, you can also send your own personal review requests via email if you’d like to see something that we didn’t cover yet. ← We're Aware Of That TARGET Exclusive - Thank You! Get the full newsletter after the jump. We're Aware Of That TARGET Exclusive - Thank You! Thank you for the store reports and images of the TARGET exclusive 6″ figure that a few of our readers are finding at their locals stores. We’re aware, but are sadly unable to post. 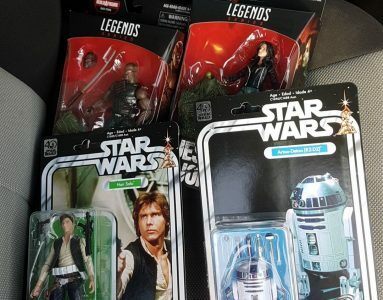 ← eBay Seller Has Deep Stock Of SDCC Hasbro Exclusives.... How/Why? You probably remember our click bait article from this morning, I just got it delivered to my door. Wow. eBay Seller Has Deep Stock Of SDCC Hasbro Exclusives.... How/Why? 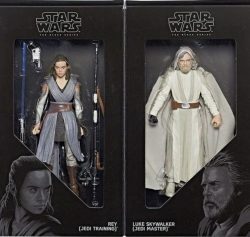 eBay seller freemantoys once again has plenty of Rey (Jedi Training)/Luke Skywalker (Jedi Master) SDCC exclusive two-packs and other exclusives in stock for prices that are better than average on many things. Be sure to check out the full list of items for sale too. But, you have to wonder, are these bootlegs? This isn’t an accusation, but how does one get so many units of these elusive exclusives? Toys R Us has formally announced their Force Friday II Midnight Opening event. Click through for more! Do you still need the Imperial Royal Guard? Amazon is taking orders for it now with a September 1st ship date. Special thanks to JTA reader Michael W. for the alert! Let’s check out C2-B5 from the Elite Series line in our Research Droids Reviews today! Be sure to leave your own thoughts in our comments section, vote in the poll or even leave comments about it on our Facebook page. Click the banner below for the direct link to the review! As always, you can also send your own personal review requests via email if you’d like to see something that we didn’t cover yet. ← We Have One More Week To Get Through This Madness! What’s this? It’s truly hysterical at this point folks! Amazon has made available a new “item” with same day delivery. Maybe the powers that be should be breathing down the necks of their retail partners a little more than the fan sites who are only trying to promote their products. I don’t know, just a suggestion. We Have One More Week To Get Through This Madness! We once again thank you for all of the store reports of The Last Jedi Force Friday II products finds and successful purchases. This has far exceeded any anecdotal evidence at this point. The store reports are fast and furious and so many of you already seem to already own what you wanted for Force Friday II. We concede with your opinions in your emails to us that it doesn’t seem right or fair that social media can get away with the revealing while a fan site like our own that has freely advertised the Hasbro Star Wars line for a decade and a half are essentially warned not to follow suit. Then again, with Disney’s involvement in Star Wars, should we really be surprised with this backwards treatment? We’re almost there. Hang tight. Anyway, be sure to check out JTA on Force Friday II! 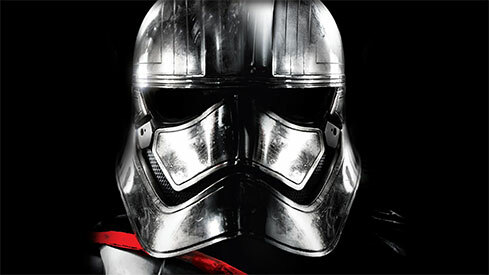 ← Discover Captain Phasma’s History in an Exclusive Excerpt! Those who prefer to wait for the trades can now pre-order the entire Marvel Darth Maul mini-series from Target.com. It’s marked down to $11.59 and I believe that it is definitely worth it a read. The overall character study of Darth Maul mixed with his first Jedi encounter makes for a great series without overwhelming the already complex Maul story line. 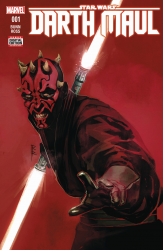 If you haven’t yet, be sure to check out our reviews on the Darth Maul series in the Comic Research Droids Reviews. Stop by and check out the latest updates from JTA sponsor Big Bad Toy Store in this week’s newsletter. JTA reader Bryan L. alerts us to an upcoming TARGET ad at TotallyTarget.com which not only confirms TARGET’s already known participation in Force Friday II, but also that they’ll be offering similar discount coupons like they did with the original Force Friday event. Check it out! JTA reader and friend Mario M. sends us word that R3-BOO17 is hitting Disney Parks in Orlando and should be arriving in CA shortly. This is one figure I have been waiting for since its announcement at SWCO! ← What TBS6 Figures Make A Great Anniversary Collection For Episode V? What TBS6 Figures Make A Great Anniversary Collection For Episode V? A local Walmart in JTA reader Jamie D.’s area has posted what the pegs could look like soon thanks to a new plan-o-gram taped to the action figures aisle. Check it out. With special thanks to Hasbro and Litzky Public Relations for providing us with this sample, it’s time for Forces Of Destiny! Let us check out the best set of all: Princess Leia Organa & Wicket The Ewok (Endor Adventure) from the Adventure Figures assortment. We continue our journey through this new world in our Research Droids Reviews today! Be sure to leave your own thoughts in our comments section, vote in the poll or even leave comments about it on our Facebook page. Click the banner below for the direct link to the review! As always, you can also send your own personal review requests via email if you’d like to see something that we didn’t cover yet. NOTE: If you recall, this was another one of our many rumor reports revealed to be true. ← Can't Wait To Take Your Chances With Hasbro Toy Shop? I can’t help but post all these deals. I find myself constantly searching as all the retailers clear out the old to make room for the new. 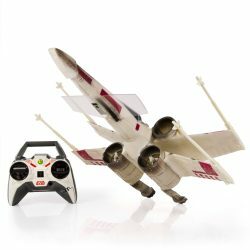 Walmart.com has two Air Hog drones on a huge sale. They have the Millennium Falcon for $99 marked down from a whopping $299, the Star Destroyer which is a mere $22., and the X-wing for $26. Can't Wait To Take Your Chances With Hasbro Toy Shop? Well, there are a few of Luke and Rey SDCC packs for sale on eBay for the “reasonable” price of $72 AND Free shipping. This seller had a LARGE stock and it’s not a crazy as the other auctions I’ve seen. 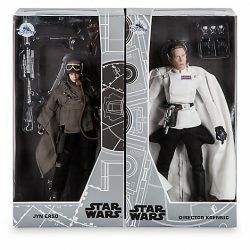 Disneystore.com now has the D23 limited edition Premium Elite Series Jyn Erso & Director Krennic set. These sets are limited to 1000 and come with a certificate of authenticity. No sign of Hoth Leia/Vader or Rey/Kylo, but we will let you know when they show up! Don’t forget to get free shipping with promo code ship50! Thanks to JTA reader and friend Charlie for the heads up! 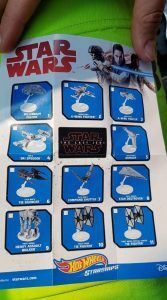 New Original Vehicles From TLJ: Just Don't Say They're From Episode V! Described by them as a gorilla and as a deadly slice of pizza respectively, io9 posts scoop via The Star Wars Show that reveals two new The Last Jedi vehicles that resemble nothing similar to The Empire Strikes Back’s Imperial AT-AT and Super Star Destroyer. Not at all, so don’t even try to make the comparisons. I am warning you. It’s NOTHING like Episode V. Check out the article, but then again, don’t if you don’t want a trip back to the future…. or spoilers. Special thank to JTA reader and friend Tom C. for alerting us to this article. 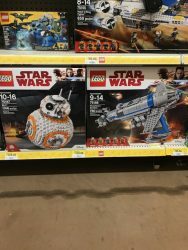 It looks like The Last Jedi Lego sets have started showing up at Walmart in Canada. 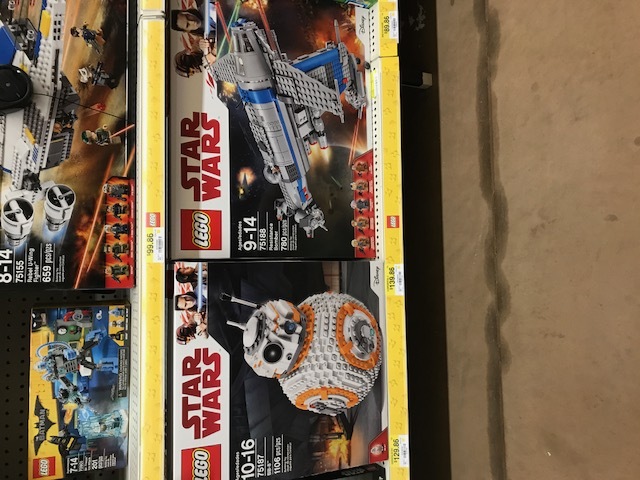 We can see a Resistance Bomber, BB-8, and the TIE Silencer in these images taken at a Montreal Walmart. Thanks to JTA reader Elie for the scoop! ← Found! TBS6 TRU Exclusive Clone Commander Gree! Sometimes Amazon has some amazing Star Wars deals in their Amazon Warehouse Deals section. You can now get a Sphero BB-8 for $57.60! 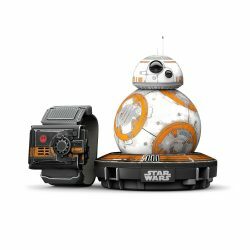 You can also get the Sphero BB-8 and the Force Band for only $88. This thing just amazes me and I still can’t help but drive this thing around almost daily. Don’t forget to check out all the other Star Wars deals as well. ← More Forces Of Destiny Episodes On The Way! Found! TBS6 TRU Exclusive Clone Commander Gree! We’re not sure if we just missed this news or if it’s actually breaking with this post, but JTA reader Russ T. has found the Toys R Us exclusive Clone Commander Gree at his store in Wayne NJ! There out there folks. We knew about the Canadian store reports for a while now, but we haven’t heard of any USA reports. Let us know if you’ve found him too! Do You Still Need The TBS [P3] Walmart Exclusive 3.75" Proto Fett Wave? As of this post, all of The Black Series [Phase III] 3.75″ super-articulated are back in stock. If you’re still missing them, now is the chance to grab Tusken Raider, Ponda Baba, Boba Fett (Prototype Armor) and Sandtrooper. Thanks to all who wrote in to share, especially legofan1227. We posted something similar a couple of days ago, but this is now getting ridiculous. File under: Truth is stranger than fiction. Also file under: You can’t make this stuff up. 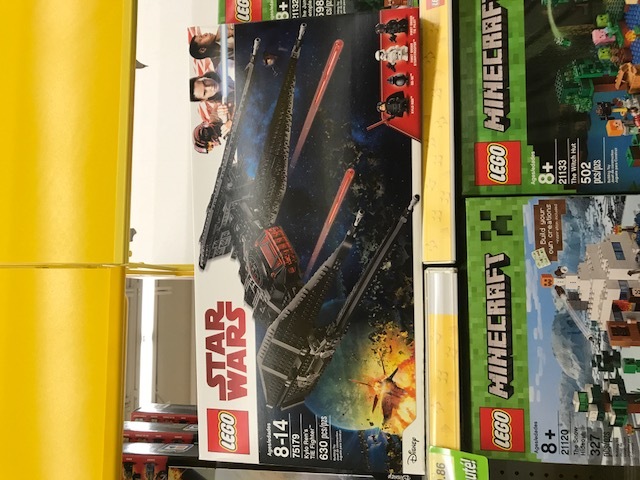 JTA reader and friend Damian V. sends us images from his local Walmart that they’ve not only placed new TLJ merchandise in the clearance aisle, but have also reduced them to clearance prices. Let the madness continue. 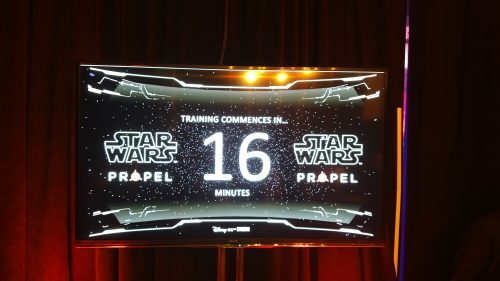 Disney: are you keeping tally yet? I just wanted to clarify our earlier post because I feel it didn’t clearly layout what area of retail collectors may experience some difficulty finding these figures. So, to be clear, please accept this clarification. Our earlier article on the possibility that wave 2 might not be found everywhere on Force Friday II, found HERE, is written from a “brick and mortar” perspective. It should be much less of an issue to find this “other” wave online. I just wanted to be clear on this point. So, if you’re going out on Force Friday II, have your devices handy. You never know if you might need them. Good luck to everyone! Even MORE The Last Jedi Pop! figures were found in Flemington, NJ. 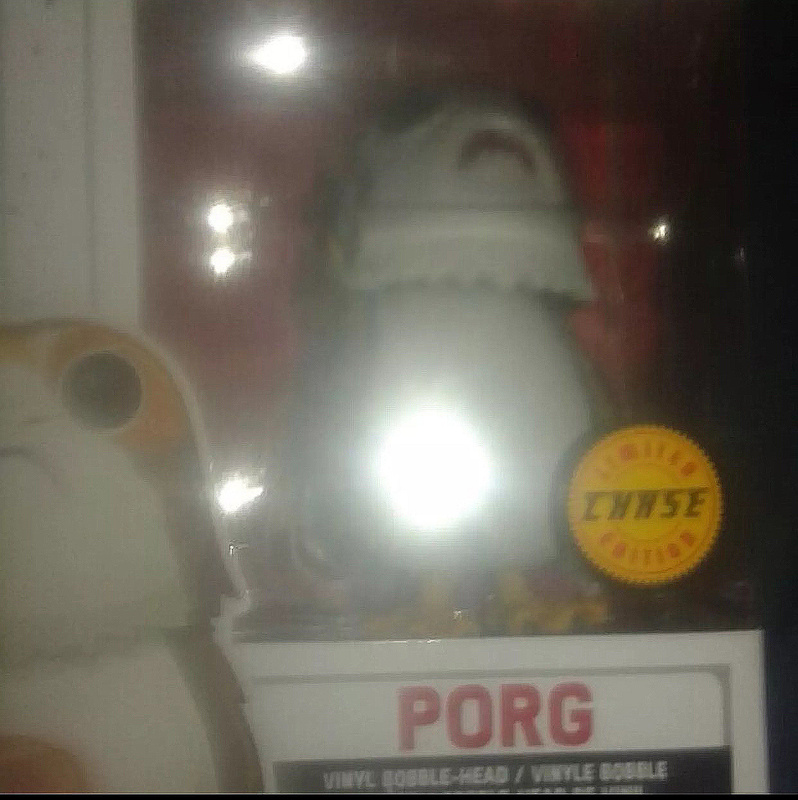 Not sure if there was the same restrictions on buying them, but apparently our reader was able to purchase the Porg without any issues. So. Many. Pops! Thanks to JTA reader Wendell for the image! 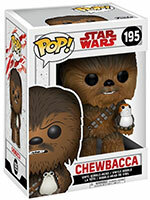 ← More The Last Jedi Funko Pop! Figures! 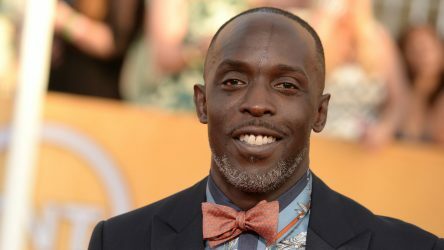 Michael Kenneth Williams (The Wire) was among the most exciting cast members to join the still untitled Han Solo film. Unfortunately, the actor revealed in an interview with Deadline that his role has been cut from the film. Williams told Deadline, “When Ron Howard got hired to finish out the film, there were some reshoot issues that needed to be done in regards to my character, in order for it to match the new direction which the producers wanted Ron to carry the film in.” Williams is currently filming The Red Sea Diving Resort in South Africa and was unavailable for the reshoots. Instead of pushing back the Han Solo film to accommodate his schedule, Williams’ role was cut altogether. His character was described as “half-human, half-animal.” Head over to Deadline to read the full interview! 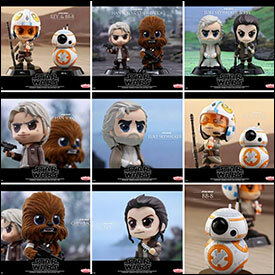 ← A Chance Not All Expected TBS6 Figures Available On Force Friday II? 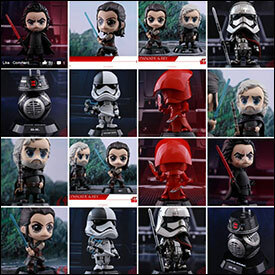 More The Last Jedi Funko Pop! Figures! I have stumbled across a few more The Last Jedi Pop figure images. 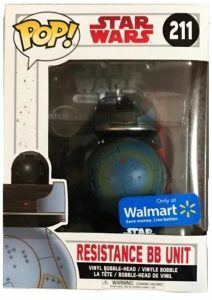 Chewbacca, A Walmart Exclusive Resistance BB-Unit, and a Chase Limited Edition Porg (sorry, the image is awful). A Chance Not All Expected TBS6 Figures Available On Force Friday II? As you probably already know very well by now, there should be two waves of The Black Series [Phase III] 6″ figures available on Force Friday II. Jedi Temple Archives has learned that a possibility exists that the second of the two waves may not show up on September 1st, but arrive shortly thereafter. Just be of the mindset that if you don’t see that second wave on day one, it’s availability is imminent. Once again, thank you to everyone who participated in the Jedi Temple Archives Reader Survey. We received some incredible feedback from you! We are now going to look at the analyzed data in each of the 25 questions in the survey. You will be able to see the results of each question, a sampling of other readers’ anonymous direct free form comments and feedback, as well as our interpretation of the data and what we’re going to do to change or improve the topic at hand here at Jedi Temple Archives.We will provide a Summary, an Aim, and a Response to Feedback for every question we asked you. First up! JTA reader German O. is visiting his friend in NJ and they found this at his friend’s local Walmart store. Because of a toxic mix including the inability to understand what a street date is in today’s day and age, Disney’s obnoxiously obscene territorial control over their licensees, and utter confusion about what is actually new in Star Wars, this particular Walmart has placed new The Last Jedi vehicles in the clearance aisle and marked them down to $19 (their normal MSRP is $39.99). It is unclear however if German was able to purchase it and walk out of the store with it, even at a clearance price. Doubtful. They probably told them they were recalled because of lead paint… by the store manager no less. I don’t know, I am just assuming that’s what happened. ← Clone Commander Gree Available For Store Pickup! Yahoo! News officially shares the Hasbro Force Link Band commercial. Check it out folks! It’s no longer off limits! UPDATE: It’s NOT official. Sorry folks. Clone Commander Gree Available For Store Pickup! Gree is now showing up in many stores across the United States. I was able to find at least 12 Toys R Us in my area that had them in stock and I was able to go pick one up from my local store an hour ago. It was nice to not have to pay that shipping or have to fiddle with sticking random things into my cart for the free shipping. Take a peek and see if he is available near you for in store pick up. We have another Hot Toys Visual Guide update for tonight. Click below to check out the Chirrut Îmwe (Deluxe Version) Sixth Scale figure. 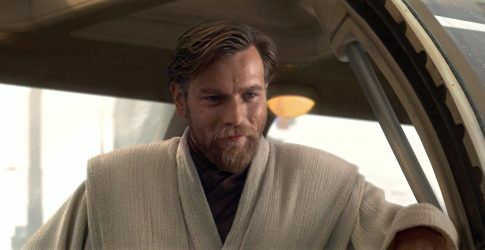 ← An Obi-Wan Standalone Film Is In Development: What’s Next? Take a look at some of the new Funko Pop! Figures for The Last Jedi including Supreme Leader Snoke, Luke Skywalker, First OrderExecutioner, and BB-8. Snoke just reminds me more and more of “Jigsaw” from the movie Saw every time I look at him. Hopefully Luke doesn’t end up chained to a radiator made of Songsteel requiring him to cut off his own foot to escape! ← TBS6 [P3] Imperial Royal Guard IN STOCK On Amazon! After a long wait, the latest Comic Research Droids Review is here (sorry for the delay!). 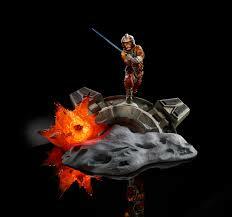 We last saw the Lord of the Sith being thrown from the mountain in pieces. Come see how he pulls himself together so that he can continue his battle with Master Kirak Infil’a in Darth Vader- The Chosen One (Part IV). Don’t forget to drop me a line with your requests for future reviews! Coming up next is the Mace Windu miniseries. The response to the Jedi Temple Archives Reader Survey has significantly exceeded our expectations. There’s an incredible amount of great feedback we received from everyone and we will be sharing the results shortly. We are simply overwhelmed with how many of you took the time to add the free form comments. There is a great to deal to digest (which we’re extremely thankful for – that’s not a complaint). We had only set up this survey to accommodate 3% of our daily visits (what our traditional participation experiences have been in the past). But we are nearly quadrupling that participation percentage unexpectedly already. The long story short is that there are only about 100 spots left to take this survey and provide your feedback. The survey is probably going to end before the planned August 31st date. We feel strongly that we have a tremendously fair sampling of opinions already, but it you want to leave your own personal responses, please act now. Thank you to EVERYONE who has already participated. We look forward to doing what we can to make Jedi Temple Archives better for everyone. UPDATE TO THE UPDATE: THE SURVEY IS NOW CLOSED! THANK YOU FOR YOUR PARTICIPATION! ← Coming Soon To Jedi Temple Archives! Send in the clones! Hasbro created four phase II clone trooper three-packs for the Revenge Of The Sith Deluxe line. Let’s check out the Clone Troopers [7th Legion] set next. It’s the focus of our Research Droids Reviews today!. Be sure to leave your own thoughts in our comments section, vote in the poll or even leave comments about it on our Facebook page. Click the banner below for the direct link to the review! As always, you can also send your own personal review requests via email if you’d like to see something that we didn’t cover yet. Coming Soon To Jedi Temple Archives! Check out the latest Hot Toys Visual Guide update, the sixth scale Shoretrooper (MMS389) . Click below for our full coverage Visual Guide page. 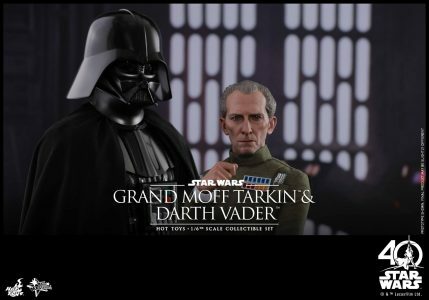 ← Some Figures We Can Expect To See In The Black Series 6" Line? EA has released a new trailer that features gameplay from the Starfighter Assault game mode in Battlefront II. The gameplay shown in the trailer spans every era and revealed new locations including Ryloth. Listen closely to the Ryloth portion of the footage, that sounds a lot like Matt Lanter and Ashley Eckstein to me. Could Anakin and Ahoska be among the playable heroes in Battlefront II? Check out the trailer! Some Figures We Can Expect To See In The Black Series 6" Line? After some fantastic The Black Series [Phase III] 6″ reveals at San Diego Comic Con this year, fans of the line are dying to know what’s next from Hasbro. JTA has “accidentally” come across some invaluable information that collectors should probably prepare themselves for with regards to the 6″ line. Rose (from The Last Jedi), 4-LOM and Dengar (bounty hunters from The Empire Strikes Back) and Han Solo (in his famous Bespin outfit) are likely candidates for the line. As you heard in our SDCC interview with Hasbro, they already have a list in mind of what characters would be part of a 40th anniversary lineup of Episode V if they “were” to do that. Three more Episode V figures only makes that dream more likely, right? As with any rumor that is unofficial, take this scoop with a grain of salt until confirmed by Hasbro. Stay tuned for more “rumors” coming soon! 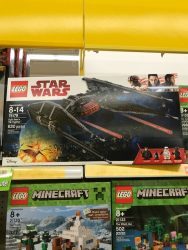 JTA friend and moderator Sjefke sends us a store report that the Rogue One U-wing vehicle has been found at ROSS for only $16.99. Send in the clones! Hasbro created four phase II clone trooper three-packs for the Revenge Of The Sith Deluxe line. Let’s check out the Clone Troopers [5th Fleet Security] set next. It’s the focus of our Research Droids Reviews today!. Be sure to leave your own thoughts in our comments section, vote in the poll or even leave comments about it on our Facebook page. Click the banner below for the direct link to the review! As always, you can also send your own personal review requests via email if you’d like to see something that we didn’t cover yet. 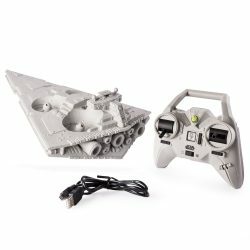 ← Kohls.com Has TBS 6" Rey Speeder, Luke Speeder, and Centerpieces In Stock! 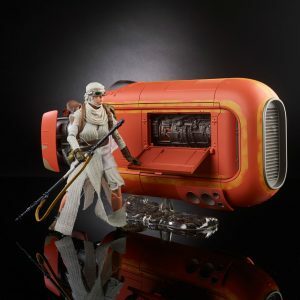 Kohls.com Has TBS 6" Rey Speeder, Luke Speeder, and Centerpieces In Stock! 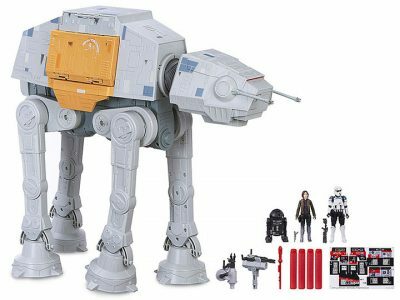 ← The Rapid Fire AT-ACT Walker On Clearance! Check out the latest updates from JTA sponsor Big Bad Toys Store in their latest newsletter. The Rapid Fire AT-ACT Walker On Clearance! I felt like this one deserved its own post. The huge AT-ACT Walker is on clearance at Target for only $101! That’s right, $101 right now! I can live with that price (not to mention free shipping). ← Will Hasbro Branch Out Beyond Female Characters In Forces Of Destiny? As we all know, we’re getting closer to Force Friday which not only means new products to chase and drive ourselves crazy over, but it also means we can save some money on the things we held out on! 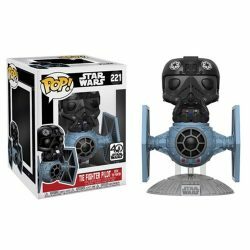 Target.com has put a TON of products on clearance including these exclusives. The Star Wars Saga 7-Pack is on sale for $19.98, The Kylo Ren VS Rey 18″ 2-pack is $22.48, and the TFA BB-8, Threepio, and R0-4LO is only $14.48! There’s also a ton of other goodies on there as well. Send in the clones! Hasbro created four phase II clone trooper three-packs for the Revenge Of The Sith Deluxe line. Let’s check out the Clone Troopers [442nd Siege Battalion] set next. It’s the focus of our Research Droids Reviews today! Be sure to leave your own thoughts in our comments section, vote in the poll or even leave comments about it on our Facebook page. Click the banner below for the direct link to the review! As always, you can also send your own personal review requests via email if you’d like to see something that we didn’t cover yet. What Could Be Done Better When It Comes To Product Leaks? 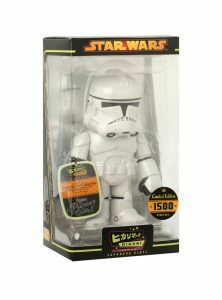 TRU Exclusive TBS6 Clone Commander Gree Is Back In Stock! Hurry! SDCC TRU exclusive Clone Commander Gree is live on Toysrus.com. Thanks to everyone who wrote in! ← Jedi Temple Archives Reader Survey - Tell Us How You Feel About Us! JTA reader and friend Robert F. sends us something interesting while out looking for The Last Jedi toys. Kroger has actually added notes to their TLJ pegs that now say “Temporarily Unavailable.” It looks like things are in place to help assist against the breaching! You might also be interested to see their price on these. Gadzooks! Jedi Temple Archives Reader Survey - Tell Us How You Feel About Us! Jedi Temple Archives wants your feedback on our site! Here is your chance to tell us how you really feel about us! Would you kindly take this very simple 25 question survey so that we can get your feedback to provide you with the best site possible. We can only improve things here if we know what needs changing. We also would like to know what you think we’re doing right, so your affirmations are appreciated too! Let your voice be heard! All responses are anonymous (they may be used in a summary of the results), your participation is confidential (we won’t know who is actually participating). We appreciate it! Survey feedback will be accepted through August 31st. Thank you! Toys R Us is coming back to New York City, but just for the holidays at 42nd Street and 6th Avenue in Times Square. Bloomberg has the full story! JTA has exclusively learned that the location should open on August 26th (just in time for Force Friday II) and be open through the New Year. We’ve officially completed all Saga Legends figures with today’s entry. Let’s conclude the collection with Darth Maul from The Legacy Collection Saga Legends lineup. He’s the focus of our Research Droids Reviews today!. Be sure to leave your own thoughts in our comments section, vote in the poll or even leave comments about it on our Facebook page. Click the banner below for the direct link to the review! As always, you can also send your own personal review requests via email if you’d like to see something that we didn’t cover yet. 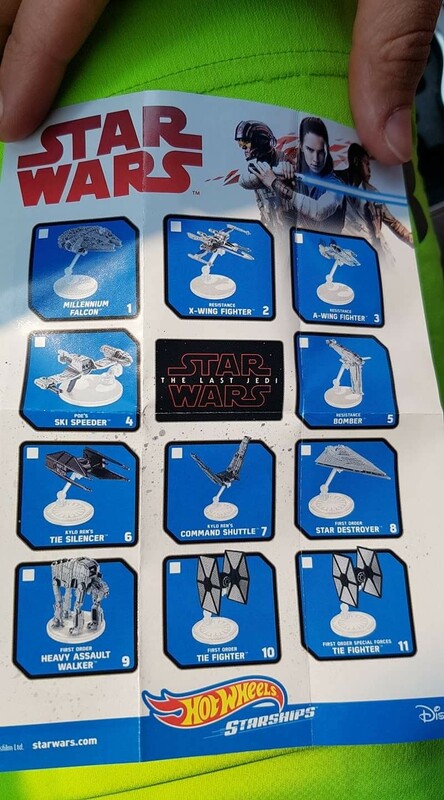 Where Are All Of Those TBS6 Product Leaks? A little birdie just told us that The Black Series [Phase III] 6″ figures due for Force Friday II (whatever characters they may be) have FINALLY shipped and are en route to retail. As you know, there has been much speculation on why these case assortments have not leaked yet (on eBay and even brick and mortar). Here is your answer. It looks as if everyone might have an equal chance now since Hasbro intentionally delayed their shipment to prevent…. you know…. as much abuse as possible. We have learned from our readers that Hasbro had multiple commercials of upcoming The Last Jedi products on their YouTube channel and they were all pulled shortly after posting (well, about 24 hours after the fact). We missed them completely. For a company adamant on keeping secrecy in effect, you’d think something like this wouldn’t slip through the cracks until Force Friday II. 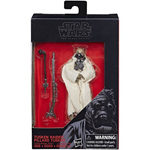 ← Walmart 3.75" TBS [P3] Ponda Baba Wave Back Again! We’re almost done with The Legacy Collection Saga Legends figures. Let’s finish up with Darth Vader first. He’s the focus of our Research Droids Reviews today!. Be sure to leave your own thoughts in our comments section, vote in the poll or even leave comments about it on our Facebook page. Click the banner below for the direct link to the review! As always, you can also send your own personal review requests via email if you’d like to see something that we didn’t cover yet. ← Holy Frijoles! That's A Lot Of 40th Anniversary Figures! Walmart 3.75" TBS [P3] Ponda Baba Wave Back Again! Holy Frijoles! That's A Lot Of 40th Anniversary Figures! 3 Chewbaccas, 16 Jawas, and 44 Death Squad Commanders! This isn’t a third grade math problem or the start of a joke, this is what JTA reader Agustín came across while on business in Monterrey, Mexico in a store called Julio Cepeda. We share in Agustín’s concern of how Monterrey has this many in stock, meanwhile tons of Walmarts and TRU’s have only received 1, 2, or even ZERO cases. ¡Ay Caramba! Thanks again to Agustín for this report! We thank you profusely for all of the store reports, images, Facebook and Twitter alerts for all new The Last Jedi merchandise. Because other media outlets are posting so many of these images and specific details on products, case assortments, official press imagery/assets and store exclusives information, we reached out to Litzky PR to ask once again if any of this information is “fair game” and if these things could be posted on our site. After all, we have been sadly sitting on all of these “breaking reveals” for months now. It’s been killing us. We were told unequivocally “no” that Litzky’s/Hasbro’s original rules are still in effect. They also let us know that they are hyper-aware of those who are breaching this understanding and are working internally to address these issues. This means our hands are tied at the moment. We tried to act on your behalf and get permission, but were denied. Hasbro has a scheduled/intended protocol for The Last Jedi product line. And while it doesn’t make sense when stuff is already in stores and on eBay, we have to abide for the time being. We know how frustrating this is (we’re dying inside), but there will be consequences for those sharing assets and details not intended for release just yet. We apologize in advance, but we’re doing our best to meet our audience’s needs while respecting Hasbro’s wishes at the same time. Please stay tuned as we learn more. You should always remember that JTA typically knows of what’s coming nine (9) months in advance. We will always remain groundbreaking in that regard. And we’ll point out when those “rumors” become facts (whether we’re credited or not). Please know that we don’t just wait for access to retailers products order lists to break news like what’s exactly happening now. We are actually investigating what’s coming our way deep into the future. We do our best to tease what’s coming. We will continue to do this, but blatant reveals, well, not until Hasbro gives the green light. Today a friend of mine managed to find wave 1 of the 40th Anniversary at his local Toys R Us in Amherst, NY. He said the entire wave was there, but he only bought himself a Artoo-Detoo and a Han Solo. Are these still being found in their distribution centers or are these coming from somewhere else? Have you seen these pop up in your TRU recently? Thanks to JTA reader and friend Charlie for the info. ← Hurry! Walmart Exclusive 3.75" TBS [P3] Ponda Baba Wave BACK IN STOCK! The Revenge Of The Sith Clone Trooper [Phase II] Deluxe figures are not great. But they served a purpose. Learn more in our Research Droids Reviews today!. Be sure to leave your own thoughts in our comments section, vote in the poll or even leave comments about it on our Facebook page. Click the banner below for the direct link to the review! As always, you can also send your own personal review requests via email if you’d like to see something that we didn’t cover yet. Hurry! 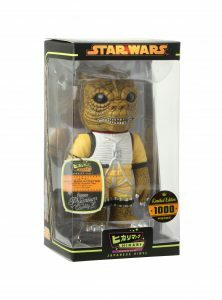 Walmart Exclusive 3.75" TBS [P3] Ponda Baba Wave BACK IN STOCK! ← Blast From The Past: Just A Mistake Or Was This Figure Planned For TVC? 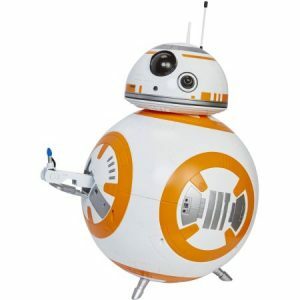 Walmart.com has the Deluxe BB-8 for only $26 if you choose to have it shipped to the store for pick up! That is a great price for this huge BB-8 complete with lights, sounds, and of course the thumbs up lighter. Blast From The Past: Just A Mistake Or Was This Figure Planned For TVC? Here’s a blast from the past. If this was reported seven years ago, then I totally missed it. Remember when Star Wars toys came with awesome product catalogs? During The Vintage Collection/The Clone Wars [Shadow Of The Dark Side] line Hasbro made a beautiful one. It was inserted into vehicles and Battle Packs and stuff like that. Click the image below and look carefully at the figures shown. Do you notice an oddity? Was that one figure intended for The Vintage Collection at one point? Was it just a mistake and accidentally printed in the catalog? Either way, we still need it updated on a modern Kenner inspired vintage card back, so Hasbro please take note! Wow! They’re history now, but an eBay seller from Italy had 11 SWCO TBS6 [SW40] Luke Skywalker (X-wing Pilot) figures for $49.99 each. You might want to stalk this eBay seller to see if anymore go up for auction again! Then again, you may NOT want to do that. JTA Reader Chris S. sent us an image of the latest The Last Jedi Galactic Heroes in stock and on the shelves at his local Meijer store in Marysville, Ohio yesterday. You may be able to start finding them in your local stores too. Have you seen them on the shelves yet? Thanks to JTA Reader Chris for the news! UPDATE: This image has been removed. ← Is It Possible New Stock Arrived From China For TBS [P3] 3.75"? 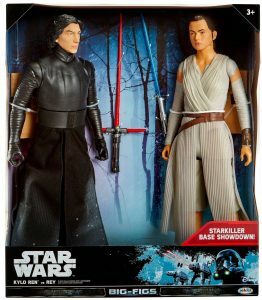 There are still from fantastic deals on Disney Store’s Premium Elite Series figures (just a few dollars each). We thank JTA reader Blair P. for the reminder! Is It Possible New Stock Arrived From China For TBS [P3] 3.75"? For those of you keeping track, it looks like the last batch of the Ponda Baba/Proto Fett wave that just showed up in stock is already prepping to ship thanks to this image from JTA reader and friend Mark M. What is INTERESTING however is that for the first time ever (for Mark), these items are shipping out of a California (CA) warehouse (he lives in Texas). Now, maybe that in and of itself isn’t peculiar and it’s not that strange that these are shipping from another warehouse, but could it be that more have just arrived from China and the first fulfillment center is in CA which is why his order is being shipped form there? Thoughts? I ask because could be there be hope that these will have wider availability (at least online) since there hasn’t been one store report of these yet? A Galactic Heroes set that we haven’t seen before has just hit eBay. 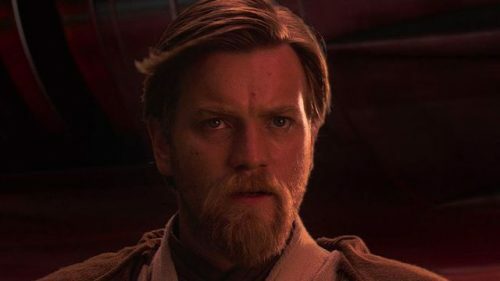 Man, that Luke Skywalker sure looks like Obi-Wan Kenobi, doesn’t it? Special thanks to Steve S. for the link! ← Rykrof Enloe Returns In "Desperate Measures"
The Revenge Of The Sith Darth Vader Deluxe figure is pretty good. It’s fun and has relatively believable play features. Find out more in our Research Droids Reviews today!. Be sure to leave your own thoughts in our comments section, vote in the poll or even leave comments about it on our Facebook page. Click the banner below for the direct link to the review! As always, you can also send your own personal review requests via email if you’d like to see something that we didn’t cover yet. Rykrof Enloe Returns In "Desperate Measures"
Our friend Justin from Yakface.com has posted his latest photonovel entitled Desperate Measures. Check out this beautiful artwork! Hasbro, please consider Bob Hudsol for The Vintage Collection so you can make CJ a happier person. I believe it’s one of a half dozen figures he’ll buy from you. This way he’ll also become less likely to troll JTA (but that’s clearly for our own selfish reasons). Thank you. Now onto bigger and better things. The Yoda Deluxe figure has a truly unique likeness. Some love it. Others dislike it. But the biggest distraction in the set is the Can-cell. It almost is the star of the show. Check it out in our Research Droids Reviews today!. Be sure to leave your own thoughts in our comments section, vote in the poll or even leave comments about it on our Facebook page. Click the banner below for the direct link to the review! As always, you can also send your own personal review requests via email if you’d like to see something that we didn’t cover yet. ← AllPosters 40% Off Sale! 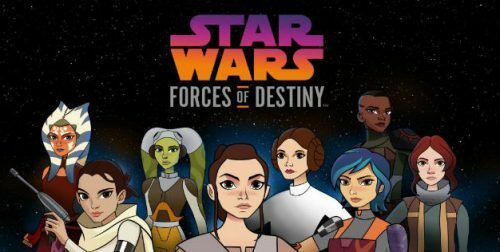 The latest animated Star Wars series, Forces of Destiny, debuted last month. The first eight episodes of the micro-series have been released so far. Now that the Forces of Destiny figures have begun to show up at retail, we thought this would be the perfect time to review the latest animated expansion of the saga. Click through to read our overall thoughts on the series and in-depth reviews of the first eight episodes. AllPosters.com has a 40% sale going on that ends tomorrow! There is a TON of Star Wars merch available and it is all on sale. Everything from Posters and cut-outs to shirts and Funko Pops and everything in between! Now is a great time to snag a good deal and furnish that Star Wars room. We get a look at some of the new ships and vehicles slated to appear in The Last Jedi from the upcoming Hot Wheels Starships line. 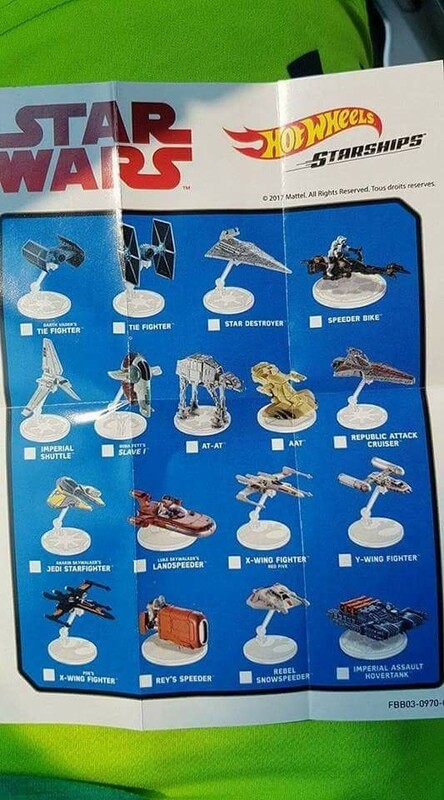 You can see Poe’s “Ski Speeder,” The Resistance Bomber, The A-Wing and of course Kylo’s TIE Silencer as well as the Heavy Assault Walker. What do you think about these designs? Special Thanks to JTA reader and friend Charlie for sharing the images. We all can admit product leaks are exciting. Before the dark times these product leaks and “rumors” were the lifeblood of Star Wars fan sites. Now that Disney is controlling everything with pitchfork in tow, these leaks have become an unpardonable sin. While fan sites are banned from drawing attention to these leaks (thanks to intimidation tactics), unscrupulous sellers, Reddit, Instagram and everywhere else continue to “get away” with it. This bothers us of course, but perhaps not more than eBay sellers taking advantage of all of the hysteria. Just look at this auction and let us know if it doesn’t. Yes, these sellers, once the street date is here, have every right to sell these products for whatever they want, but shouldn’t Disney be focusing on this aspect of the leaks since it’s much more devastating to their brands? ← Amazon.es Puts New TBS 6" Pages Up! The Spider Droid was released for the third time in the Revenge Of The Sith line. Check it out in our Research Droids Reviews today!. Be sure to leave your own thoughts in our comments section, vote in the poll or even leave comments about it on our Facebook page. Click the banner below for the direct link to the review! As always, you can also send your own personal review requests via email if you’d like to see something that we didn’t cover yet. Amazon.es Puts New TBS 6" Pages Up! Amazon.es gives us a look at some of the new figures coming out on Force Friday II and they’re in stock for a Sept. 1 release. They have Finn (First Order Disguise), Kylo Ren (Episode VIII), Rey(Jedi Training), And Luke (Jedi Master). What do you think about them now that we get a good look at them. Thankfully it isn’t the same old Finn! UPDATE: These images have been removed. 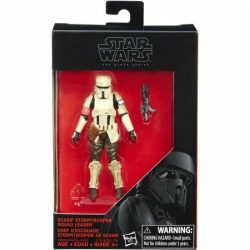 Emperor's Royal Guard IN STOCK At Walmart.com Again! As of the time of this post, the Emperor’s Royal Guard is IN STOCK for $10.83! Special thanks to JTA reader Dogwar Jones for the alert! Let’s check out some Episode I figures. We’ll continue with Gasgano whose accessory is a whole other figure! Check it out in our Research Droids Reviews today!. Be sure to leave your own thoughts in our comments section, vote in the poll or even leave comments about it on our Facebook page. Click the banner below for the direct link to the review! As always, you can also send your own personal review requests via email if you’d like to see something that we didn’t cover yet. ← Is He Or Isn't He In The Last Jedi? We heard a rumor! You know there is a Finn in The Black Series [Phase III] 6″ line for Force Friday II (or shortly thereafter) right? 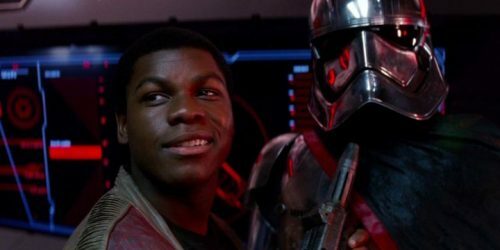 You should probably expect a version of Finn in some First Order disguise and not in the common/standard outfit with open jacket. We’ve also learned that Poe Dameron should be in some captain’s gear too. But we should all wait to be sure when Force Friday II arrives! Is He Or Isn't He In The Last Jedi? There’s an awful lot of Yoda merchandise showing up in The Last Jedi line look packaging isn’t there? Between this latest store find and the rumor report of ours which alluded that you should be seeing Yoda and Obi-Wan Kenobi merchandise in the toy line (as well as Yakface.com breached action figure assortments), it seems more and more that somehow, somewhere Yoda will make a cameo in some way. Then again, he may not at all. It should be interesting to see what happens, huh? Special thanks to Crime Sweeper for this store report. Holy BLEEP! Look what JTA reader Derek H. found at his local TJ Maxx discount chain store! The former Kmart exclusive B-wing Fighter from The Vintage Collection has wound up there for a mere $16.99. This item is 6 years old at this point. How is there stock still hanging around? The B-wing Fighter vehicle would easily be $49.99-$59.99 in today’s market! Let us know if you see these in your areas as well! We’re very curious to see how widespread this is! 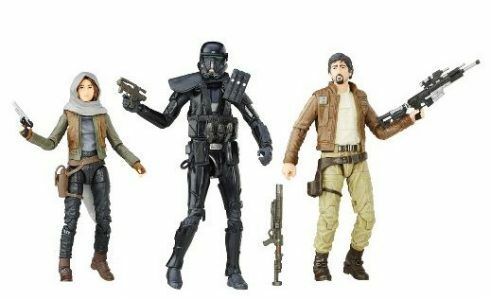 ← TARGET Exclusive TBS6 [P3] Rogue One Three-Pack $24.99 At BBTS! It’s just so sad to see this sometimes. But if you’re looking for cheap Star Wars figures you can head to Five Below where they have Rogue One Two-Packs for about the price of a single figure. No more 5POA Hasbro. Now let’s get those TVC figures out there! Special thanks to JTA reader Michael O. for the news! 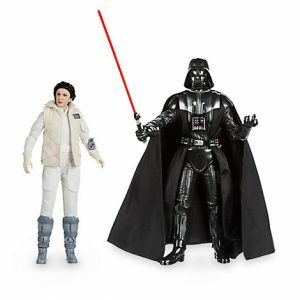 TARGET Exclusive TBS6 [P3] Rogue One Three-Pack $24.99 At BBTS! Wow. These must have under-performed BEYOND expectations. 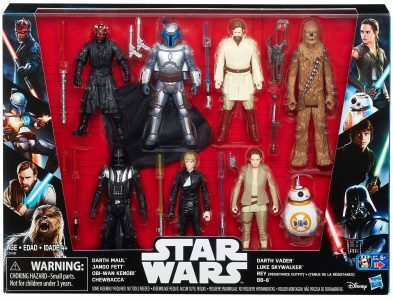 JTA sponsor Big Bad Toy Store has the TARGET exclusive TBS6 3-pack for a mere $24.99. You 6″ people better start stepping up to the plate! 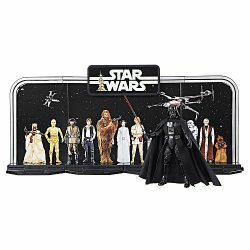 ← Kmart Puts Out Some The Last Jedi Products Before Force Friday II! Let’s check out some Episode I figures. We’ll start with OOM-9 which is actually a pretty cool figure. It is the focus of our Research Droids Reviews today!. Be sure to leave your own thoughts in our comments section, vote in the poll or even leave comments about it on our Facebook page. Click the banner below for the direct link to the review! As always, you can also send your own personal review requests via email if you’d like to see something that we didn’t cover yet. ← Is Disney Considering An All Star Wars Streaming Service? Get 20% off of merchandise $75 or more at Disney Store with promo code COOLEST. 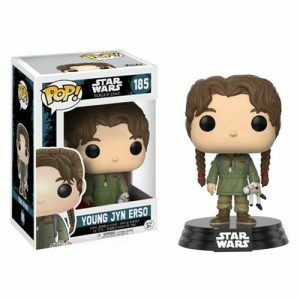 They have Forces Of Destiny dolls in stock and Elite Series are as low as $4.79! Special thanks to JTA reader Agustin for the alert! Is Disney Considering An All Star Wars Streaming Service? 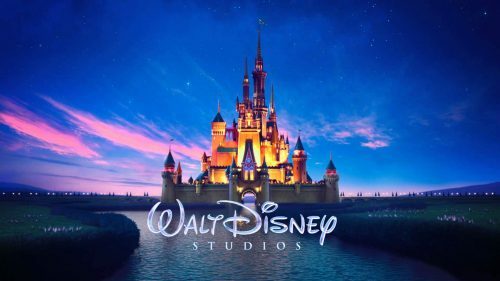 Earlier this week, Disney announced plans to launch their own streaming service in 2019. The new service would include existing content and original programming, following the Netflix model. Disney has opted to end it’s existing distribution deal with Netflix. Beginning with their 2019 releases such as Toy Story 4, Disney’s proposed streaming service will be home to all upcoming Disney movies. While this deal will include Disney’s live action and animated films and upcoming Pixar releases, the company’s Star Wars and Marvel films were not mentioned. According and to a report from TechCrunch, Disney CEO Bob Iger said they are still considering how to integrate Marvel and Lucasfilm titles and that they may launch their own standalone streaming services. What do you think about the possibility of an all Star Wars streaming service? Would you pay for a one stop shop for Star Wars content? Let us know! ← POP! Death Star Droid & Young Jyn Erso Now In Stock At EE! Our next Visual Guide Update takes a look at the Homing Spider Droid from the The Clone Wars [Blue] line. Click below for a complete look. You can also check out more images and information on our review page right here. POP! Death Star Droid & Young Jyn Erso Now In Stock At EE! 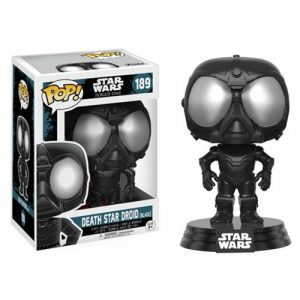 Entertainment Earth now has the Funko Pop Death Star Droid and Young Jyn Erso now in stock! That Death Star Droid looks pretty awesome. 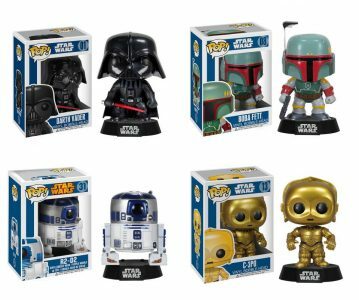 Toys R Us is selling a 4-piece Funko Pop Collectors Set that features Darth Vader, Boba Fett, Threepio, and Artoo-Detoo. 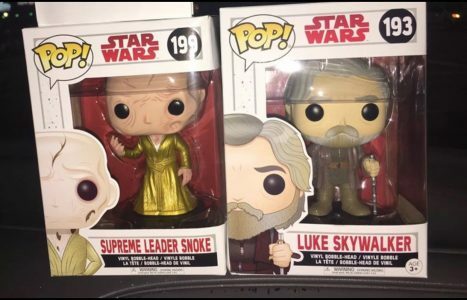 New The Last Jedi Funko Pops! Revealed! 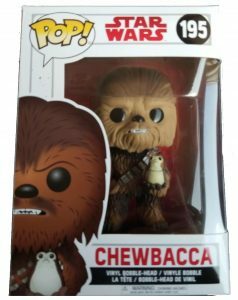 Our good friends Jake and Criz B from the Toy Run podcast have great scoop on new The Last Jedi Funko Pops! Check it out by clicking the image below! ← So Episode VIII Is A Reboot Of The Empire Strikes Back? Remember this rumor report? (Click HERE to see it.) We didn’t know what the Praetorian Guards looked like back in January, but now we do.) Yakface.com confirms this rumor report and others that JTA broke with an update to what expect for The Black Series 3.75″ line.They also confirm another very old rumor report of ours where we told you there would be one final TBS [P3] 3.75″ wave of figures THAT WOULD BE general release items and not exclusive to Walmart. Also, there have been lineup changes as alluded to recently. It appears the Rogue One female pilot might be saved for The Vintage Collection, and it appears most Snoke products have been pulled for secrecy reasons and won’t be available on Force Friday (a total guess/assumption). You should remain confident that Snoke is still in development for all scales. So Episode VIII Is A Reboot Of The Empire Strikes Back? Jedi Master and Jedi trainee on a far-off distant location interacting with one another. Check. Interwoven story lines of the struggles of the freedom fighters against an evil empire as they continue to battle for freedom. Check. A squad of heroes escape madness for a while as they head to a different glamorous planet. Check. No, we’re not talking about Star Wars Episode V: The Empire Strikes Back despite sounding just like it. 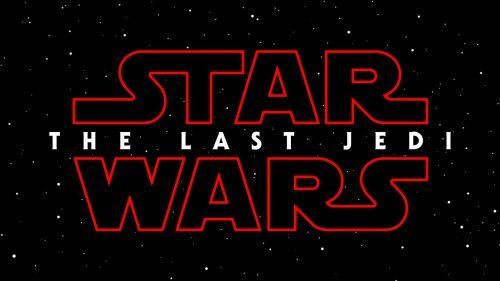 These are actual plot points for Star Wars Episode VIII: The Last Jedi. Rian Johnson said Episode VIII isn’t a reboot of Episode V, but the latest article at EW.com seems to contradict this quite a bit. Click through for more. ← Teaser Poster 2 Now Available At DisneyMovieRewards.com! This beautiful set was created to celebrate the 40th Anniversary and boy does it look fantastic! Both are sculpted to look as they appeared in A New Hope. Grand Moff Tarkin features a brand-new head sculpt, a finely tailored Imperial uniform, Grand Moff Tarkin’s high back chair, and a specially designed Death Star themed figure base while Darth Vader features newly redesigned gloves, a sophisticatedly-crafted Darth Vader armor and helmet, skillfully tailored suit, LED-lighted lightsaber, an Interrogator Droid, and a specially designed Death Star themed figure base. Check out all the images of them both here. ← Sponsor Announcement: Pre-order Fenn Rau & Bistan/Shoretrooper Two-Pack! Teaser Poster 2 Now Available At DisneyMovieRewards.com! That’s right! You can now get a 27 x 40″ version of the poster given out at The Last Jedi panel at Star Wars Celebration Orlando from DisneyMovieRewards.com. The poster costs 750 points which is 250 less than they had The Force Awakens and Rogue One Posters were listed as. Sponsor Announcement: Pre-order Fenn Rau & Bistan/Shoretrooper Two-Pack! Pre-order Fenn Rau and the Bistan/Shoretrooper Two-Pack at JTA sponsor Dorkside Toys! BigBadToyStore has the ever-popular Rapid Fire AT-ACT up for pre-order for a mere $99. That is a pretty low price considering it was $299.99 originally. Would you like to know which one of the four Praetorian Guard styles will be part of The Black Series [Phase III] 6″ figure assortment on Force Friday II? Then click through. But before you do, we can confirm that Maz Kanata is the replacement for the figure removed from the first couple of case assortments and Kylo Ren does indeed come with facial scarring this time around as our friends at Yakface.com have accurately reported. More details to follow soon. ← Rey To Save Luke Skywalker From His Own Darkness? Today we celebrated our 3000th review featuring the 2017 edition of Disney’s Build A Droid collection. We’re not stopping there though, because we are also adding this massive collection to our Visual Guides tonight. And, a massive collection means a massive Visual Guide! Click below to check out the complete Disney Parks 2017 Collection Visual Guide! Rey To Save Luke Skywalker From His Own Darkness? This deal is getting worse all the time. This is a broken man. One who would have preferred to stay lost. And he feels the same way about that lightsaber. “The fact that Luke says, ‘I only know one truth. It’s time for the Jedi to end…’ I mean, that’s a pretty amazing statement for someone who was the symbol of hope and optimism in the original films,” Mark Hamill tells EW. Your comments please. Check out the full story at Entertainment Weekly. ← BREAKING NEWS! 5POA Fenn Rau And Bistan/Shoretrooper Up For Pre-order! 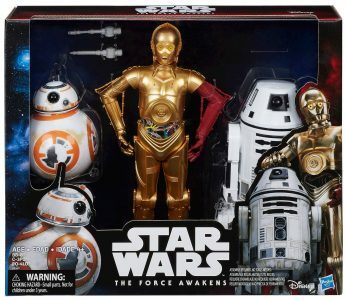 You can also pre-order the former Walgreens exclusive The Black Series [Phase III] C-3PO figure too with an expected arrival date in September. I wonder why these didn’t sell at Walgreens? Maybe because so many stores never bothered to stock them? ← TRU Exclusive Commander Gree Back In Stock! BREAKING NEWS! 5POA Fenn Rau And Bistan/Shoretrooper Up For Pre-order! This is breaking news! Entertainment Earth has just put up for pre-order Fenn Rau and the Bistan/Shoretrooper Two-pack, both from the Rogue One line! Pre-order yours now for a December delivery! 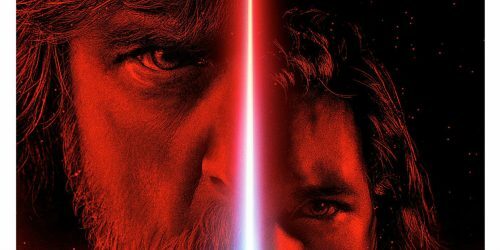 ← Could The Last Jedi Be The Last Hurrah For Collectors? 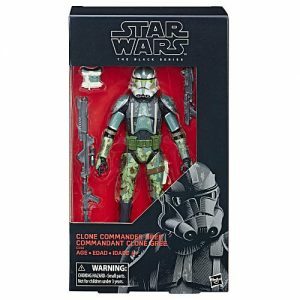 TRU Exclusive Commander Gree Back In Stock! Hurry! SDCC TRU exclusive Clone Commander Gree is back in stock on Toysrus.com. Limit is still 1 per customer. UPDATE: These are now on backorder! Several people have had theirs be listed on backorder, while some are not. Could The Last Jedi Be The Last Hurrah For Collectors? Speaking of things that make your heart skip a beat, check out what this eBay seller is trying to get for the final wave of Expanded Universe themed Legacy Collection basic figures! 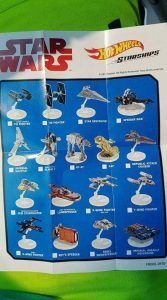 Hey Hasbro, this is a fertile ground and there are great options to add to The Vintage Collection from the old EU. Just don’t make Ben Skywalker on principle. Thank you. ← A First Look At Some Brand-New, Never Before Seen Figures! It’s official. We have added our 3000th Research Droids Reviews entry today. From May 24, 2009 through August 9, 2017, JTA has provided with you a new review each and every single day without skipping a beat. We have reached a landmark that just doesn’t seem possible for us, but without you there would be no energy to keep moving forward with it. Today’s RDR is the Disney Parks 2017 Collection: Droid Factory (ProtocoI Droids). Our just-shy-of-300 image gallery will certainly provide great reference for you to pick up these parts at your own leisure. Here is hoping Disney makes more soon! Be sure to leave your own thoughts in our comments section, vote in the poll or even leave comments about it on our Facebook page. Click the banner below for the direct link to the review! As always, you can also send your own personal review requests via email if you’d like to see something that we didn’t cover yet. A First Look At Some Brand-New, Never Before Seen Figures! Today we bring you a first look at some brand new The Black Series 6″ figures thanks to a friend who was able to find them in the Target system. Come take a look at some other never before seen figures after the jump! Special thanks to JTA reader and friend Brandon! UPDATE: Images have been removed. Tags: 6" Figures, Rumor Reports, Star Wars Episode VIII: The Last Jedi, The Black Series [Phase III], Titanium Series 3.75"
Check out the new Elite Praetorian Guard and the First Order Judicial 6″ Elite Die-Cast figures coming out from Disney that made their way to Instagram. 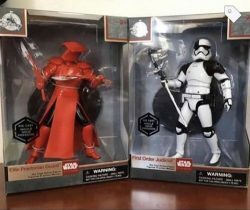 This is the first I’ve seen the name First Order Judicial (heck, it’s blurry so I may even have that wrong) and the Elite Praetorian Guard actually looks much better than I originally expected. I hope the Black Series ones look even better! What do you think? Special thanks to JTA reader Al for the heads up! ← Emperor's Royal Guard BACK IN STOCK For $10.83! Why hold onto your investments when you can flip them for this kind of green? 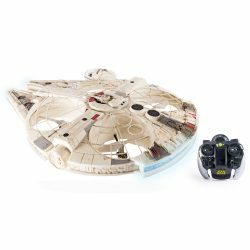 While you’re waiting for Force Friday II (and all that “glorious” 5POA stuff), how about plopping down your saved hard-earned cash on a big Millennium Falcon instead? This flawless vehicle is only $852.65 each on eBay and this seller has five of them! Special thanks to JTA moderator Sjefke for making us shudder with this auction. Hasbro made some great repack choices for The Legacy Collection Saga Legends line. And then they made some no-so-great choice. Battle Droids [AOTC] were not the greatest choice. Check it out in our Research Droids Reviews today. Be sure to leave your own thoughts in our comments section, vote in the poll or even leave comments about it on our Facebook page. Click the banner below for the direct link to the review! As always, you can also send your own personal review requests via email if you’d like to see something that we didn’t cover yet. 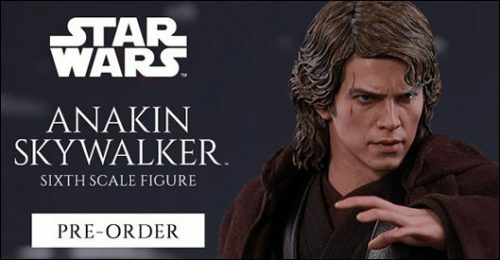 ← What's The Deal With NO TBS6 Figure Leaks Yet? What's The Deal With NO TBS6 Figure Leaks Yet? Hasbro made some great repack choices for The Legacy Collection Saga Legends line. Jango Fett was one of these. Check it out in our Research Droids Reviews today. Be sure to leave your own thoughts in our comments section, vote in the poll or even leave comments about it on our Facebook page. Click the banner below for the direct link to the review! As always, you can also send your own personal review requests via email if you’d like to see something that we didn’t cover yet. You can now grab most of the Forces Of Destiny dolls on Hasbro Toy Shops eBay Store! 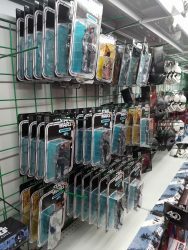 They currently have Sabine Wren, Rey of Jakku, Resistance Base Rey, and Endor Leia in Stock as well as Rey’s staff and the Forces of Destiny Jedi Power Lightsaber. Thanks to JTA reader Agustín for the heads up! We hope you got to check out our complete and close look at all of the San Diego Comic Con Hasbro exclusives that were available this year. With this recap, you can click any image below and be taken to that release’s Research Droids Review and Visual Guide. On an interesting and related note, we have noticed that availability of these exclusives on eBay seem better than ever and the prices are coming down a bit too. Check it out on eBay! JTA reader Allen found a ton of 40th Anniversary Legacy Packs marked down at his local Walmart in Smithfield, RI. According to Allen, they are marked down to a mere $15! I know my local Walmarts have more than 20 of these each and they have yet to even mark them down at all. My Walmarts don’t have ANY of the Star Wars figures marked down yet…Which is strange. Have you found the Legacy Pack this cheap yet in your area? Let us know! The Clone Trooper Officer [Captain] was re-released in The Legacy Collection Saga Legends line. Check it out in our Research Droids Reviews today. Be sure to leave your own thoughts in our comments section, vote in the poll or even leave comments about it on our Facebook page. Click the banner below for the direct link to the review! As always, you can also send your own personal review requests via email if you’d like to see something that we didn’t cover yet. Let’s take a look at the The Clone Wars [Shadow of the Dark Side] Kit Fisto’s Jedi Starfighter in today’s Visual Guide Update. Click below to have a look at the full guide page. You can also check out our full review of this vehicle right here. The madness continues. As more and more online sellers breach their agreements with Hasbro with early sales of The Last Jedi basic figures, the bidding wars and starting bids are entertaining at best. Check out this auction on eBay. Following the runaway success of the R2-D2TM coins in the Star Wars Classic collection, New Zealand Mint are thrilled to bring to market the next equally famous Star Wars Droid – C-3POTM! These limited edition fine gold and silver coins feature C-3PO with his unlikely counterpart R2-D2 in Star Wars: A New Hope. Why not start, or add, to your collection today! The Clone Trooper Officer [Lieutenant] was re-released in The Legacy Collection Saga Legends line. Check it out in our Research Droids Reviews today. Be sure to leave your own thoughts in our comments section, vote in the poll or even leave comments about it on our Facebook page. Click the banner below for the direct link to the review! As always, you can also send your own personal review requests via email if you’d like to see something that we didn’t cover yet. Check out the amazing Grand Admiral Thrawn SDCC exclusive, tonights Visual Guide update! Make sure to also read our full review on this figure right here. I am speechless. I have no words at all. Who spends $510 on FOUR (4) 5POA figures? Whoever bought this: spend this kind of money in a therapist’s office please. Click to see this final auction yourself on eBay. ← Former Amazon Exclusive FO Legion Boxed Set Arrives At Canadian TRU? Still don’t believe The Black Series [Star Wars 40] 6″ line is out of production? We were waiting for the first store report to come in as we knew this was imminent from one of our sources. 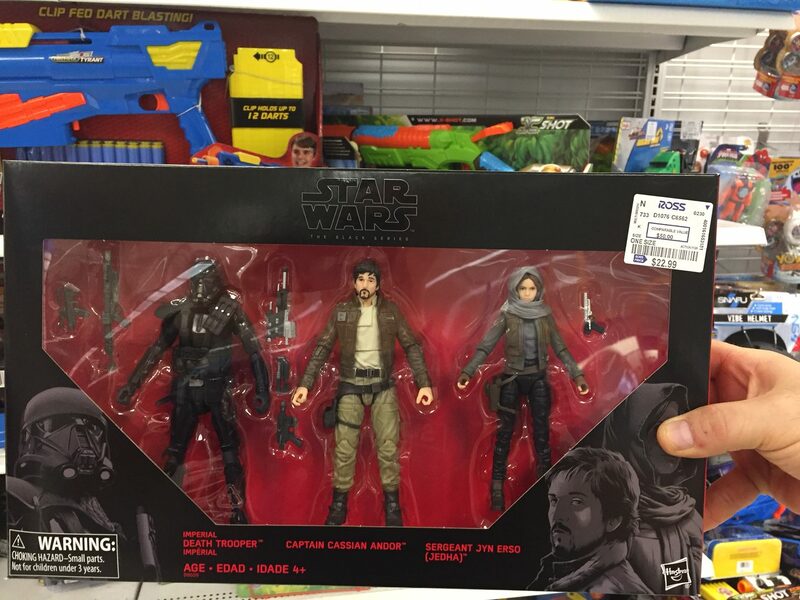 These 6″ figures are now being found on clearance at Walmart so they can prep for Force Friday II. Aside from some solid case packs via online, you can all stick a fork in this line. Special thanks to JTA reader Ben H. for sending us the first store report of this. Toysrus.com is having a 3-day clearance event. Best part is you can get an EXTRA 20% off by using promo code CLEARANCE20. Take a peek at all the Star Wars items they have on clearance and maybe save a few bucks. ← How Many Howards Does It Take To Finish A Han Solo Movie? 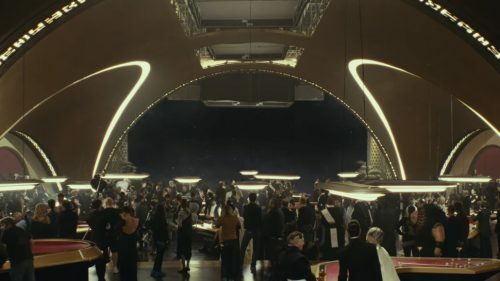 This novel is going to be exploring the Casino City of Canto Bight; a city with high stakes and opportunity. This novel will feature a collection of four short stories that will focus on different creatures from the casino world of Canto Bight. This novel will be written by Saladin Ahmed, Rae Carson, Mira Grant, and John Jackson Miller and will be released on Dec. 5th as part of the Journey To Star Wars: The Last Jedi. You can read more about it at EW.com or pre-order it now from Amazon. How Many Howards Does It Take To Finish A Han Solo Movie? Two apparently! As we’ve all expected since the announcement of Ron Howard coming in to finish the still untitled Han Solo film, he has supposedly found a role for his brother Clint according to his Twitter comment. That shouldn’t be too hard in a Star Wars film considering he isn’t the most conventional look actor as he himself poked fun at in The Waterboy. You can read more about this on Variety. ← Step Into The World Of Star Wars, Literally! The Black Series [Phase III] Grand Admiral Thrawn San Diego Comic Con exclusive figure is the best of all three released this year. Find out why you must get this in our Research Droids Reviews today. Be sure to leave your own thoughts in our comments section, vote in the poll or even leave comments about it on our Facebook page. Click the banner below for the direct link to the review! As always, you can also send your own personal review requests via email if you’d like to see something that we didn’t cover yet. ← She's Coming Soon, But Who Is She? Step Into The World Of Star Wars, Literally! ILMxLAB and The Void have come together to bring us a brand new Hyper Reality Experience called Star Wars: Secrets of the Empire. “Star Wars: Secrets of the Empire will allow fans to move freely in an untethered, social, and multi-sensory experience, including interaction with friends, fans, and Star Wars characters.” Read more about this exciting coming attraction at StarWars.com.I don’t know about you, but this seems like one more step in the direction of us wielding “real” lightsabers (kinda)! ← What Is This, "Prae" Tell? She's Coming Soon, But Who Is She? It’s your unavoidable destiny that you will eventually see a female heroine of great Force(s) potential enter the line supporting a current multimedia event. Can you guess who it might be? You’ll soon learn! What Is This, "Prae" Tell? Collectors of an enlarged scale of action figures are probably going to start seeing red. Literally. Imagine a matrix of myopic proportions making its way to your collection exclusively. The question is, will you be able to tell them apart? The Vulture Droid [Version 2] Deluxe figure is terribly underscaled. But it looks nice and is more closely sourced to Episode I than Episode III. Find out more in our Research Droids Reviews today. Be sure to leave your own thoughts in our comments section, vote in the poll or even leave comments about it on our Facebook page. Click the banner below for the direct link to the review! As always, you can also send your own personal review requests via email if you’d like to see something that we didn’t cover yet. We’ve just added another SDCC exclusive to our Visual Guides. This time, stop by and check out the X-34 Landspeeder/Luke Skywalker set. Click below for the complete Visual Guide. We also have a full review of what you can expect from this set, both inside and out. John Boyega recently sat down with IGN and discussed a bit about Finn’s undercover work in The Last Jedi. He also sat down in an interview with “Popcorn with Peter Travers” and talked about Carrie’s final performance in The Last Jedi. More after the jump! Most of the Forces Of Destiny dolls are IN STOCK at Hasbro Toy Shop. Special thanks to JTA reader Mark for the alert! 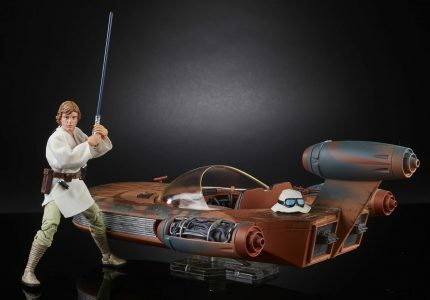 The Black Series [Phase III] X-34 Landspeeder/Luke Skywalker San Diego Comic Con exclusive release is probably going to disappoint collectors of this line. From a packaging/visual standpoint, it’s collector gold. But from a quality/value perspective, it’s a bit disappointing. Find out why this is so in our Research Droids Reviews today. Be sure to leave your own thoughts in our comments section, vote in the poll or even leave comments about it on our Facebook page. Click the banner below for the direct link to the review! As always, you can also send your own personal review requests via email if you’d like to see something that we didn’t cover yet. The Hollywood Reporter has published an exclusive story that goes on to explain that British writer Jack Thorne will retool the treatment/script that was written by Trevorrow and his writing partner. According to the article sources say “a fresh pair of eyes was needed”. Uh-oh. Better get Maaco! Check it out and let us know your thoughts. Fake news? Or a shovel of truth to the face? Up next from the Star Wars [Saga – Phase I] Walmart exclusive Cantina Bar Section series is Greedo (3 of 3). Get the full Visual Guide below, and read the full review right here. The Vulture Droid [Version 1] Deluxe figure is terribly underscaled. But it looks nice. Find out more in our Research Droids Reviews today. Be sure to leave your own thoughts in our comments section, vote in the poll or even leave comments about it on our Facebook page. Click the banner below for the direct link to the review! As always, you can also send your own personal review requests via email if you’d like to see something that we didn’t cover yet. ← Do You Want Your Two Dollars, Or The TBS6 FO Special Forces TIE Fighter? Once again, you couldn’t make this stuff up if you tried. JTA Facebook friend Michael B. sends us a shot of an upcoming TARGET reset. Do you see anything out of balance here? Is the unsold Star Wars toy volume so high that TARGET needs to devote this much retail real estate to sale merchandise? TVC fans: you’re going to have to step up to the plate next year and affirm to retail that we mean business.